This 10-week quilting course teaches everything you need to know to start making your own quilts. 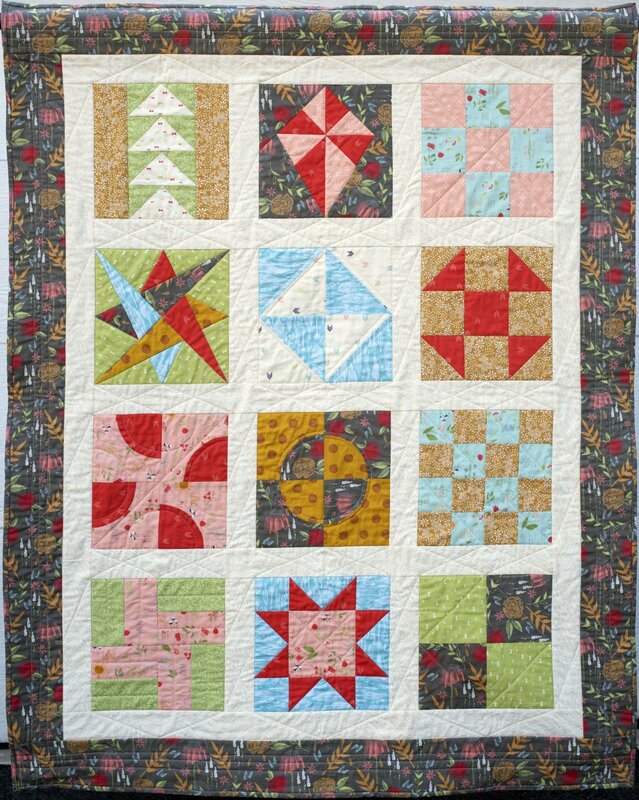 This course covers the basics: getting to know your sewing machine, rotary cutting, fabric selection, and a variety of techniques for machine piecing quilt blocks. You make a sampler quilt and learn to sandwich, quilt, and bind your masterpiece. This is the perfect opportunity to explore the quilter’s art, which is both ancient and modern! Finished size of sampler quilt: 42 in. x 53 in. Know before you sign up: The instruction is very much hands-on. Most classes are a combination of discussion, demonstration, and practice. You must have a sewing machine in good working order that you can bring to class. If your machine has not been serviced in the past year, please have it cleaned and oiled. Capital Quilts can clean and oil many brands of sewing machines; ask a staff person. Allow two weeks for servicing. You must be able to attend the first and second classes, because they are foundational to the rest of the course. There are no make-up classes, unless Capital Quilts cancels a class. If you must miss a class, pick up the handout as soon as possible. Handouts are kept at the cash register.